HOOP EARRINGS Sophie Buhai. BAG Gucci ‘Dionysus‘. GOLD EARRINGS Céline. PERFUME Byredo ‘Rose of No Man’s Land‘. BOOK Yayoi Kusama. BALLERINAS Maryam Nassir Zadeh ‘Roberta’. COUCH Munna ‘Hughes’. 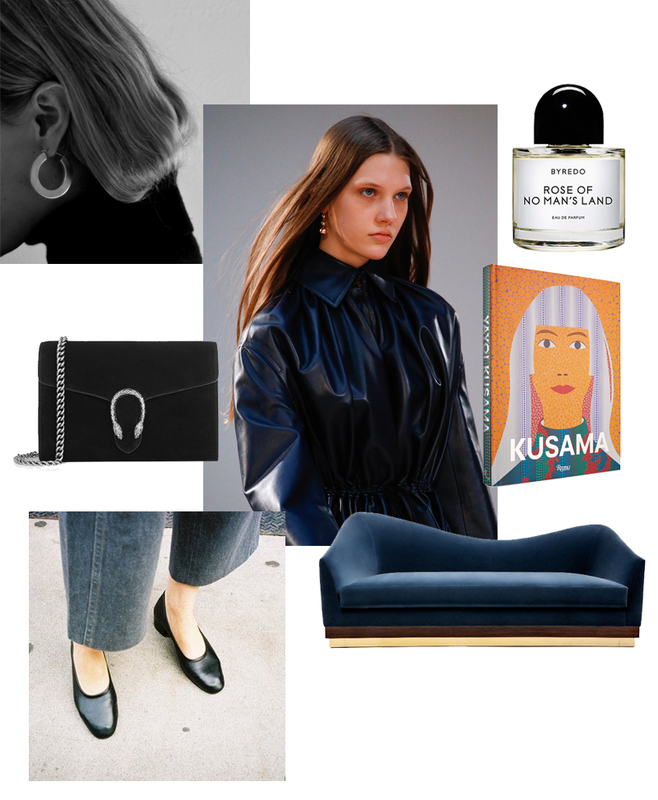 This entry was posted in Shopping and tagged Byredo, Gucci, maryam nassir zadeh, sophie buhai by Carolina Engman. Bookmark the permalink. I love the names of Byredo’s perfume, they are so dreamy!!! Great selection! The Gucci bag is wonderful! This Gucci bag is everuthing! Nice post!! Love those flats! !